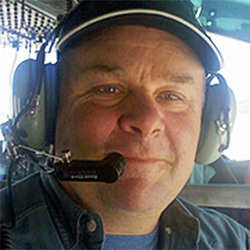 Geology Department Chair Mark Hemphill-Haley departed on Sunday Nov. 20 for a ten-day reconnaissance of the magnitude 7.8 earthquake that struck New Zealand’s South Island on Nov. 13. Professor Hemphill-Haley will be leading a Geotechnical Extreme Events Reconnaissance (GEER) Association team to investigate surface faulting produced by the quake. The Nov. 13 earthquake struck the northern part of the South Island about 58 miles north of Christchurch and proceeded to rupture along a series of faults extending at least 100 miles to the northwest. Along with the March Sumatra and April Ecuador temblors, the trembler is tied for the largest quake of 2016. The New Zealand quake killed two and caused extensive damage to roads and structures. This earthquake is important not only for the damage it caused but because of its location in the transition between two different tectonic regimes and the number of different faults involved in the rupture. New Zealand’s South Island has many similarities with Humboldt County and California’s North Coast, accommodating the change from the strike-slip world of the Alpine fault to the subduction zone setting of the Hikurangi trough to the north. Hemphill-Haley is an expert in neotectonics, or the study of recent faults. He has worked extensively in New Zealand, spending much of his 2008 sabbatical studying recent faulting with New Zealand scientists. In September 2010, he led an HSU team to study the magnitude 7.1 Darfield earthquake near Christchurch. Hemphill-Haley will be posting field updates on the HSU Geology Facebook page: www.facebook.com/humboldtgeology.